With this weekend’s massive snowfall and temps well below freezing, it’s the time of year to curl up by the fire, rifle through your seed catalogues, and dream about warmer days. When the days finally lengthen and summer rolls around, you’ll want to be outside all the time. Creating a functional outdoor living space for lounging and cooking is a great way to enjoy the fresh air, sunshine, and birdsong of the Hudson Valley. And what better thing to plan for while you’re snowed in? Michael’s Appliance Center in Middletown has been selling and servicing high-end appliances for 75 years, so we asked for their advice on designing a beautiful livable outdoor space. 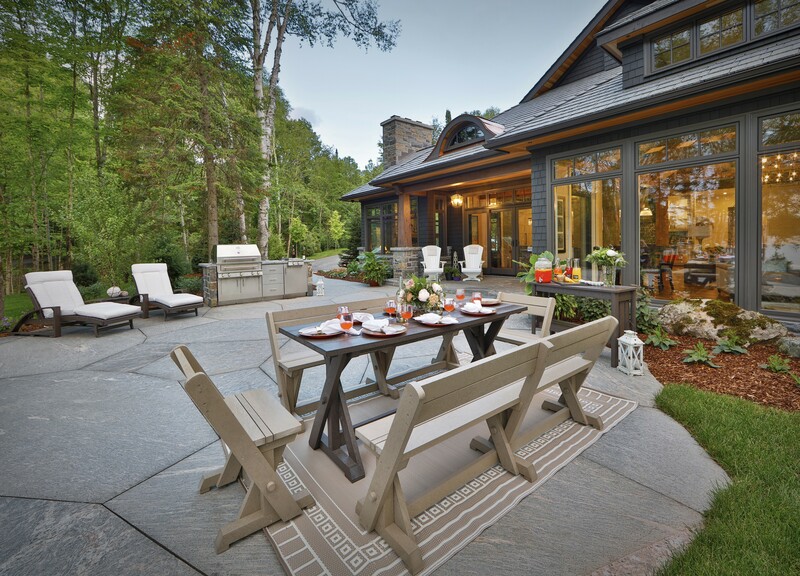 Though many trends have come and gone, grilling is still the focal point of outdoor living. 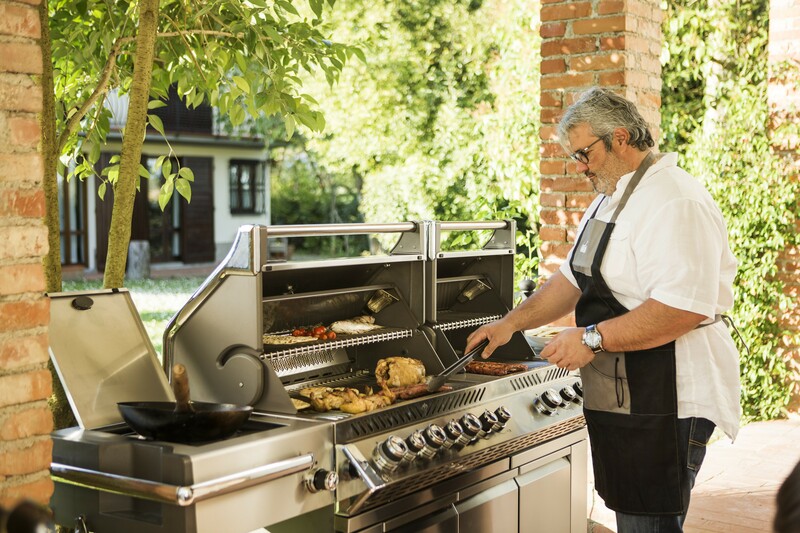 While gas grills reigned supreme for nearly a decade, new technology offers a bevy of options—pellet, wood-fired, convection, the list goes on and on. 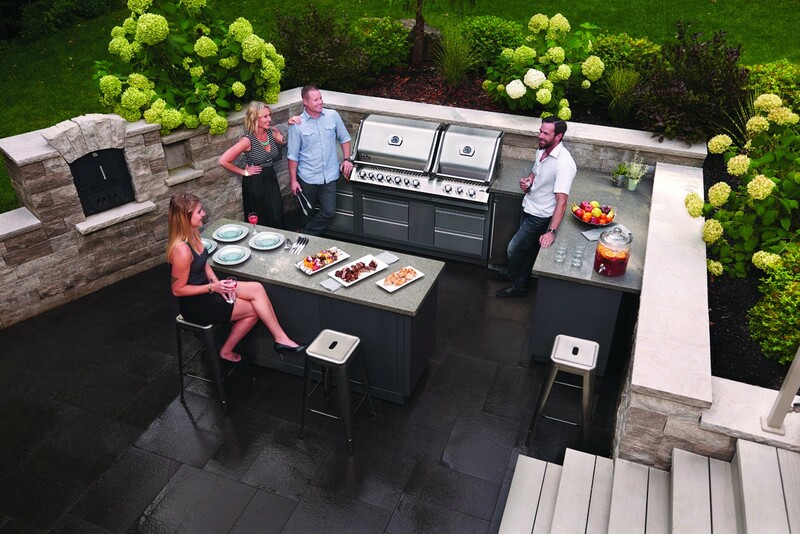 “Charcoal is making a comeback, smoking is huge, and Kamado-style cooking is now really becoming a thing,” says Andy Guattery, General Manager at Michael’s Appliance Center. His main advice for picking the right grill? Do the math, think about how you cook (and figure out your most common party size), and buy accordingly. “Most people purchase too big of a grill. They think bigger is better. But then they have difficulty actually grilling, or heating up in a timely manner, and then they lose a ton of heat every time they open it up.” Bigger grills also cost more to run. Andy recommends buying two smaller grills rather than one enormous one, which will save you money and increase your capacity for that big 4th of July barbecue. Michael’s stocks outdoor pizza ovens, Kamado Joe grills, wood-fired ovens, gas and charcoal grills, as well as a range of nifty accessories to make cooking easier, like charcoal trays you can put in a gas grill. “A decade ago, outdoor living was sparse up here at best,” Andy says. “But over the past five to seven years, we’re seeing people building actual outdoor living spaces—full kitchens outside under a roof with under-counter refrigeration and sinks.” While not everyone may have the resources to build a full plein-air kitchen, there are some amenities that improve the quality of life and bring the space together. 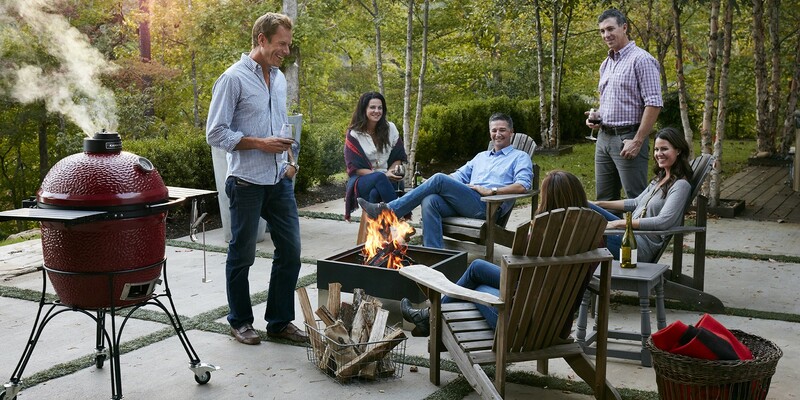 The same attitude of ease and comfort should govern your decision on lawn furniture. If your deck chairs blow away every time it rains or you're constantly worrying about them bleaching in the sun, that does not bode well for peace of mind. Michael’s only stocks products by C.R. 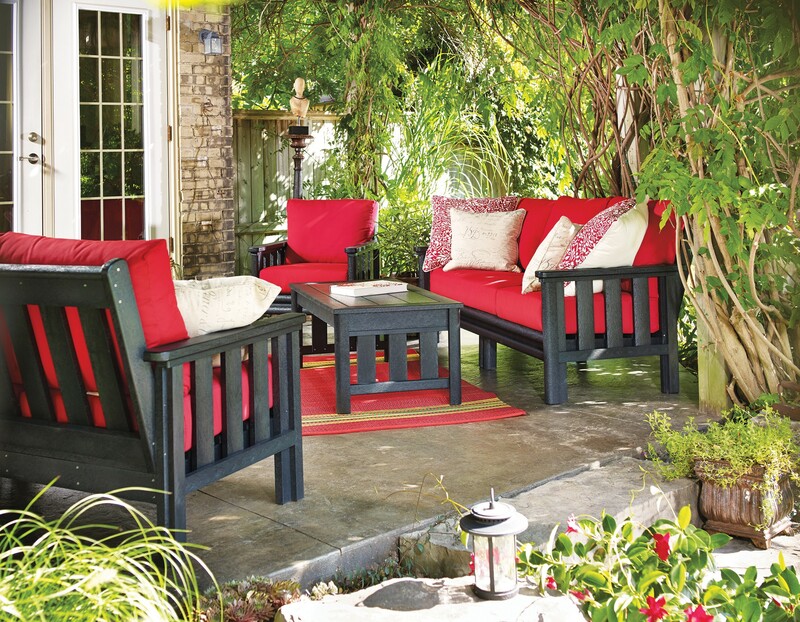 Plastics, a line of high quality, attractive outdoor furniture made in Canada from recycled milk jugs. “This stuff is built like a tank—their Adirondack chair is 60 frickin’ pounds,” Andy says enthusiastically. “They don’t blow away and they’re not rickety.” Plus with a 10-year fade warranty, stainless steel screws and bolts, and machined plastic bodies, you can leave them in the sun and rain all year long without worrying about rust. C.R. Plastics’ full line of 100% recycled outdoor furniture includes dining tables, high tops, picnic benches, bar stools, recliners, and sofas with cushions. “When you put this furniture out, you’re done,” Andy says. “You don’t have to put it in the garage before every storm. It stays right where you put it. And the minute it warms up, you can go out and sit down.” Now that is quality of life. Want to stretch your outdoor setup into a three- or four-season space? Winter barbecuing (or wintercuing) is a growing phenomenon, with people braving the elements to get that fresh-off-the-grill taste. 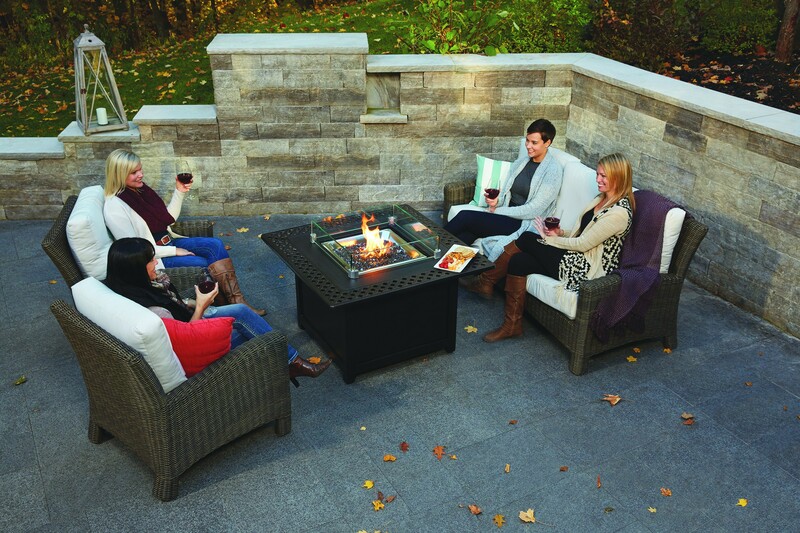 Patio heaters and Patioflame tables offer a great way to introduce some warmth to your outdoor living space without the hassle or regulation of firewood, so everyone can gather round for January burgers. Michael’s Appliance Center offers free local delivery and installation on products purchased at their store.